With the HondaLink app, you have the power to stay in touch with your Honda from anywhere in the world. It’s easy to use and free to download from either the App Store or Google Play. Sync the app to your Honda and easily use your phone to control remote functions like ignition and door locks. The app also lets you check on important vehicle vitals, like fuel level and location, so you can figure out where you parked when you’re lost in the lot, as well as connecting you to emergency assistance in the event of an accident or theft. You can also receive vehicle service alerts from Honda as well as personal concierge service. Regardless of which side of the Apple/Android fence you’ve landed on, you can sync up and directly access your phone’s home screen on the central infotainment display in your Honda. When connected, you’ll be able to access all your contacts and connect with voice or text messages. You’ll also be able to access your phone’s media, whether it’s streaming or stored on your device. And don’t forget you can access apps for navigation, appointments, and even weather. An available wireless phone charging station (pictured above) makes powering up easier than ever. Turn your cabin into a mobile Wi-Fi hotspot so you and your passengers can stay connected. Standard Bluetooth® connectivity means you can make calls using voice commands and listen to your favorite streaming music and podcasts through the stereo system. Plug into the standard USB connections to access streaming or media files stored on any USB-capable device. There are so many ways to stay connected in your Honda. Feel free to call us at 403-842-1100 and we will more than pleased to give you a hand. 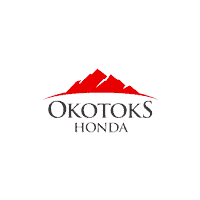 Okotoks Honda, Located in Okotoks, South of Calgary. Serving South Calgary, Okotoks, High River, De Winton, Walden, Heritage Pointe, Artesia and other communities around Okotoks and High River.